Musings of a Durotrigan: Graphene: why has the UK lost its lead? 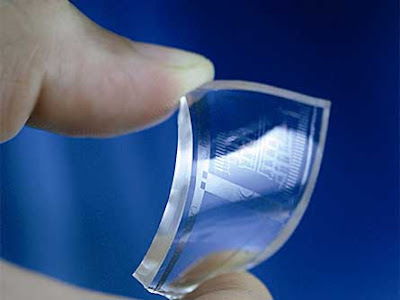 The potential of graphene could be huge, but the reality at present is that we simply do not know the full range of uses to which this revolutionary new material could be turned. This super-thin ultra-conductive material stronger than diamond was first synthesised at The University of Manchester in 2004 through pioneering work carried out by Russian research scientists Andrei Geim and Konstantin Novosolev. As with many innovations in the past, it may have originated in Britain (albeit in this case largely as a consequence of the talents and research interests of two Russian expatriates), but it would seem that we are failing to capitalise upon the technological and economic possibilities of a revolutionary innovation, whilst other nations lead the way. According to figures compiled by CambridgeIP, China leads the field in terms of patents taken out on graphene, with almost 41 times the number than taken out in the UK: 2,204 compared to a lowly 54. The US is second on the list, with a considerable 1,754, whereas South Korea comes in at third place with a far from negligible 1,160. China’s willingness to explore and use cutting-edge technologies is clearly displayed in these figures, as is its economic and, increasingly, intellectual challenge to the US. The figure associated with patents originating in the UK is feeble considering that the pioneering work was undertaken in Manchester, and begs us to ask why there has been such a failure to utilise this head start to the national advantage. George Osborne may have pledged £60 million in government funding for graphene research and BP may have announced its intent to create what is quoted by the BBC as “a world centre for graphene research”, but can this really enable us to make up the lost ground and catch up with more canny competitors who, in the case of the East Asian nations (amongst which we can include Singapore) have their eyes set on the long-term, rather than the short-term investment priorities that we apparently have absorbed from the ailing hegemon across the Atlantic? Although the US has suffered a great deal of deindustrialisation, it still has some powerful domestically-based transnational corporations (TNCs) which are global leaders in technology capable of stumping up the funds required for researching the commercial possibilities of new technologies and materials, but even so, their priorities are short-term compared to those of what many have termed the “Confucian developmental state”, into which can be bracketed, despite their individual characteristics, China, South Korea and Singapore. The East Asian approach to economics and investment in science is driven by the long view, and not demands for immediate returns. We would do well to move a little closer towards their perspective, and further from the American one. South Korea’s largest chaebol – Samsung – holds a mighty 407 graphene patents, and it is sure to put them to good commercial use. A new generation of ultralight and flexible smartphones has been touted as one of its first widespread prospective uses. What a pity it is that no company in this country took up this idea with a view to transforming it into a globally popular product! It is in the development and utilisation of such new materials and technologies – not to mention new sources of energy – that will ultimately drive economic renewal in our country if we are to ever experience it, not in an overreliance upon the inflated financial services sector. We need to provide incentives for investment in a new industrial revolution which will fund the pensions and social services of tomorrow, for we have little to fund them with at present. One of the major reasons that we have lagged behind competitors in the exploitation of graphene is perhaps the fact that we now possess such a denuded base of domestic capital and so few large domestic corporations capable of funding and utilising the research that is required. The globalists of the Conservative, Labour and Liberal Democratic parties may trumpet the glories of open markets, but with nothing to sell, who ultimately benefits? Globalism is bankrupt, as is the current economic strategy that focuses upon the short term and the undermining of the accumulation of domestic capital. In this respect, we must not look to America for inspiration for our economic model, for continuing to ape the US will bring us further ruin. We need an economic vision and industrial strategy that looks to the next 50-100 years and beyond, not just to the next General Election. Our current political parties are not fit to deliver such an approach, so we must create a party that is capable of doing so. A while ago there was an item on local BBC Spotlight about graphene projects at Exeter University, yet they get no mention on the mainstream BBC. You can find info by Googling 'graphexter'. It would be nice if we could be at the cutting edge of something again. It's also good to see that Exeter University is helping to lead the way, as the West Country needs more jobs. You are right to highlight the economic success of South Korea which has been partly achieved by not subscribing to the madness of globalism. Samsung along with fellow Korean firm LG is soon to start mass producing Organic Light-Emitting Diode (OLED)televisions. Ironically, this technology was invented at Cambridge University. As ever, Britain invents things and foreigners due to having longterm thinking and patriotic politicians along with other factors (such as having a domestic manufacturing capacity) go off with the profits of our inventiveness. Japan and South Korea in particular show us that what the Tories and UKIP falsely call 'socialism' and 'leftwing' can work! I absolutely agree that there appear to be many - often associated with the Tories and UKIP but not exclusively - who equate anything deviating from Hayekian dogma as 'socialism', which is both simplistic and ludicrous. Presumably, such people would even have divined 'socialism' to have been at play in imperial Rome given the largesse of certain emperors (not that I'd advocate the Roman imperial system as a model of social development of course!). Simplistic pigeonholing of a particular stance as being ‘Left’ or ‘Right’ wing doesn’t help. What we require are policies that work in the long-term national interest, and offer the opportunity for all of our citizens to derive benefit from them. Naturally, the Hayekians, given their devotion to the irrational belief that so-called ‘private’ enterprise is somehow imbued with a mystical ‘moral’ purpose, would undoubtedly dub such a stance ‘socialist’. I believe in market forces which has generally been shown to the most effective way to run an economy but not totally unrestrained. They must be tempered by the national interest as capitalism left to itself has no inherent loyalty to any nation. Japan and South Korea (particularly Japan) show how capitalism can work within a national framework as both of them have DOMESTIC free market economies. Japan built-up its industrial base in the post-war period by protecting its domestic manufacturers from non-Jap competition until those infant industries were able to stand on their own two feet. I don't know whether they still have tariffs against imports but in any case they don't need them as their industries have matured and the Japanese people are so patriotic they wouldn't dream of buying a foreign import over a Japanese product. They do so love their banks! Thank you for mentioning CambridgeIP research into the graphene patent landscape in your article. I am emailing with a correction to the ranking you provide - the US is not 2nd or South Korea is not third in the global rankings, the BBC provided the number of patents for the UK for comparison with China, USA and South Korea only. Thank you for this clarification. In that case, who are second and third?